Dig Deeper Into The Nature Of Pisces! Noble-minded Pisces, you are surely the best listeners in the world. One may spend hours telling a Piscean about their last romantic adventures without even noticing the time passing. Though it looks like you are having the time of your life, a time may come when people will finally find out that you actually enjoy listening to music much more than listening to them. Your peculiar sense of humor deserves special attention. Not everyone can appreciate the intricacies of your mind. You are, no doubt, funny! However, try to come down to Earth and do not overwhelm your listeners with your vivid imagination.  The best places to meet The One for Pisces!